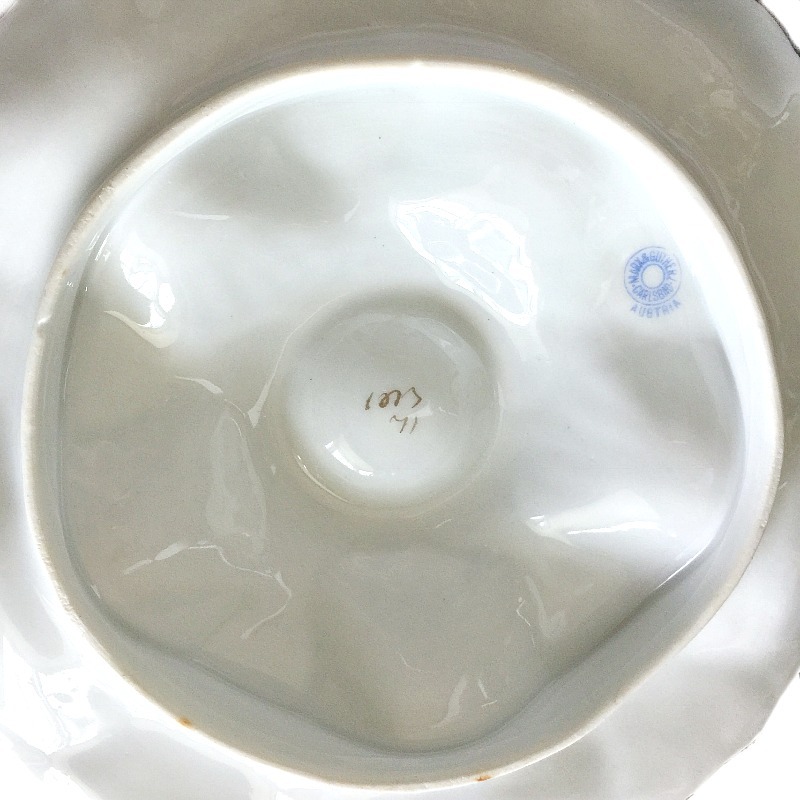 Rare to find Antique Porcelain Oyster Plate with five wells and one central condiment well. 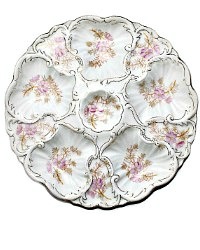 Made by the renowned Marx and Gutherz factory in Carlsbad between 1890-1900 in Austria. The delicate pink flowers and branches are transfer decor, enhanced with hand painted colors and gilt embellishments and border. 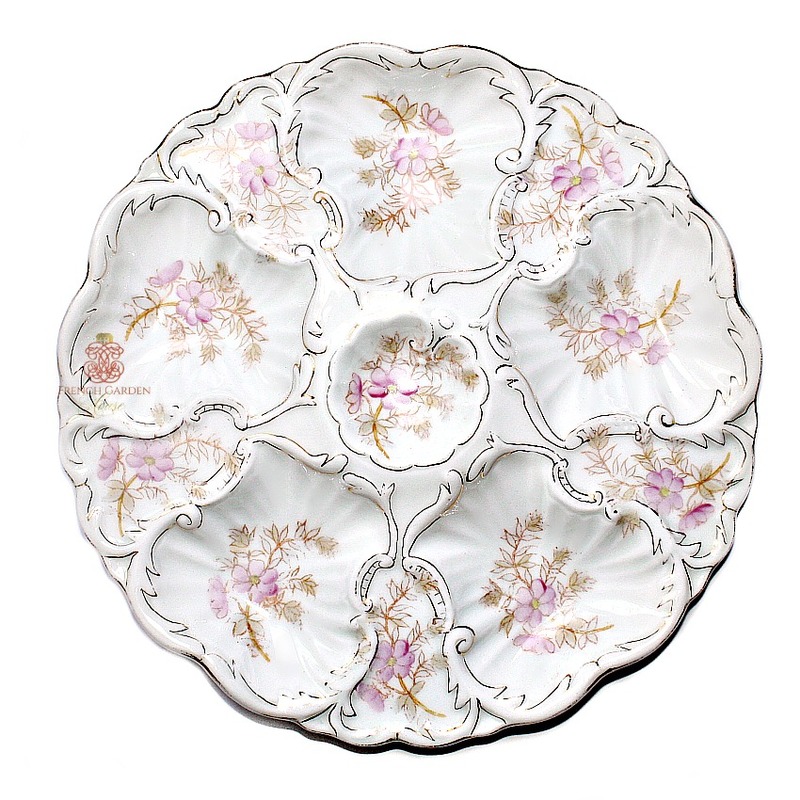 Such a decorative plate, this is an ornate 19th century rococo design, the wells are larger to accommodate either ice chips or the actual oyster shell. Often, these are completely scratched as the oyster shells are very abrasive! Marked on the back. A very collectable plate in a most desirable color combination, a fabulous addition to your collection.